The threat of Thanos is coming closer and closer to Earth. 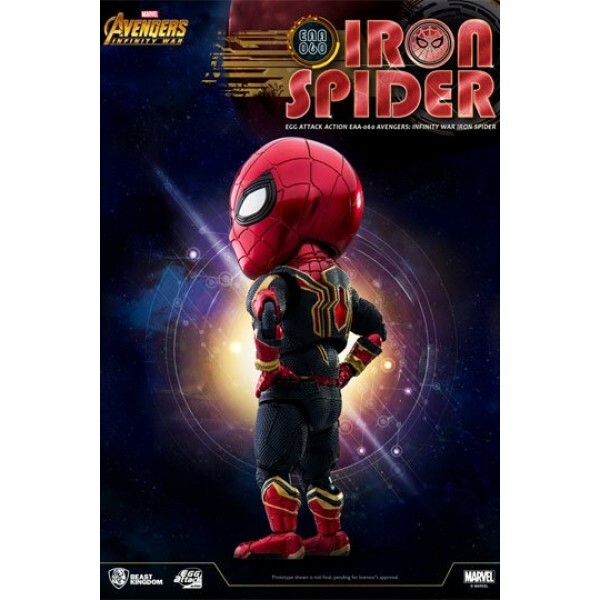 To defend the planet against this powerful foe, the Avengers must upgrade their gear! 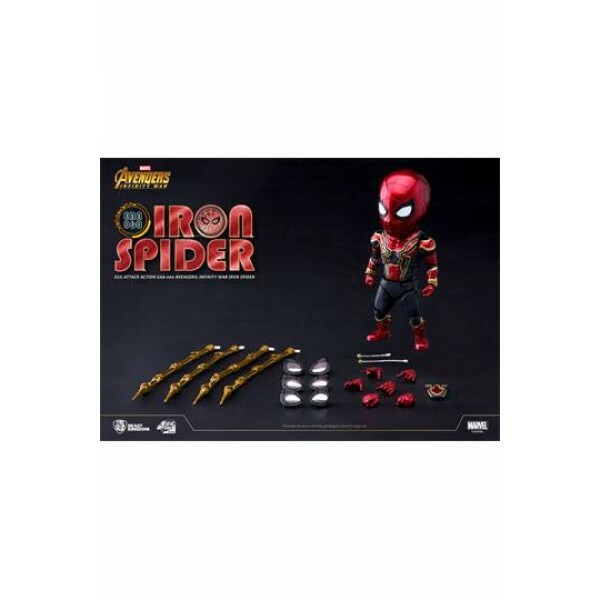 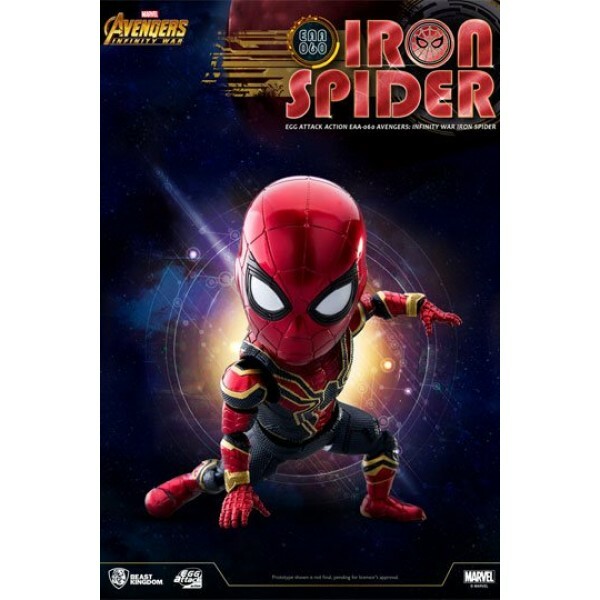 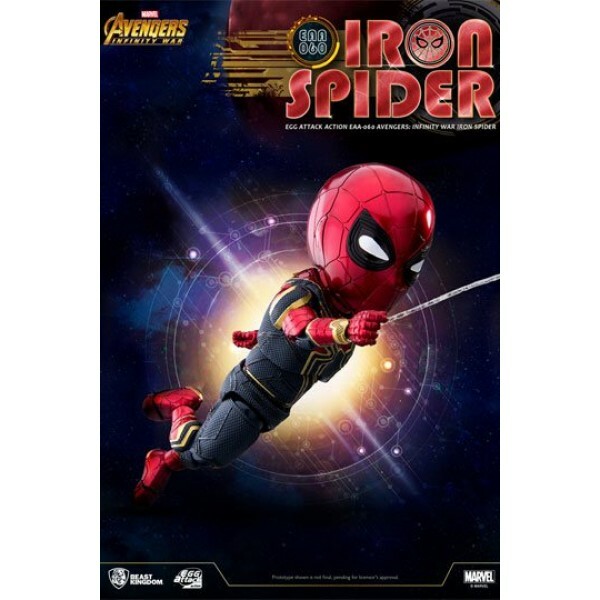 Beast Kingdom's Egg Attack Action series is proud to present the 6-inch Iron Spider action figure from Avengers: Infinity War, depicting Spider-Man, the rookie of the team, in his upgraded Iron Spider suit! 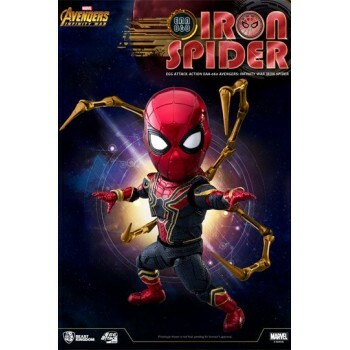 To faithfully recreate Spider-Man's stylish appearance and the upgraded features in his suit, the figurine uses high-quality metallic paint to accurately portray the texture of the Iron Spider suit. 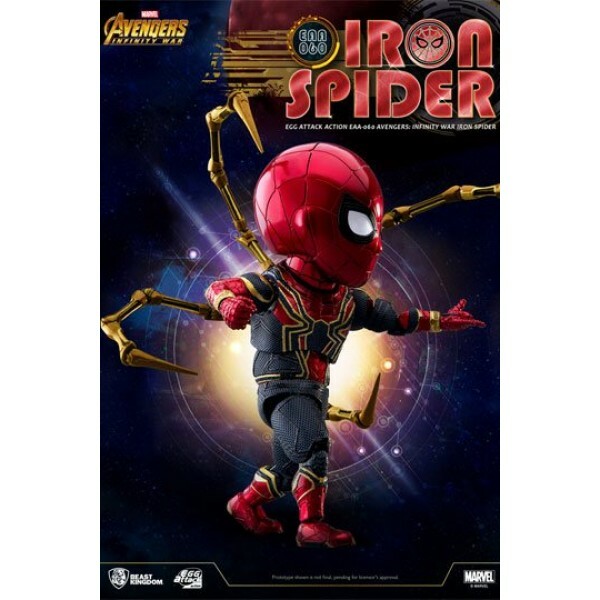 Furthermore, the spider legs each have 5 points of articulations.